Have you been arrested for driving under the influence in Glendale, Arizona? If so, you should contact a Glendale DUI attorney immediately! 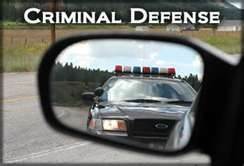 Most people do not expect to find themselves caught up in the criminal justice system as a result of a DUI arrest. In most states, including Arizona, DUI is a very serious charge with severe consequences. If you find yourself facing a DUI arrest, seek a Glendale DUI lawyer immediately. Protect your rights and your freedom. Your rights are extremely important. If you have been arrested or charged with DUI in Glendale, Peoria, or Phoenix, AZ, you need to do everything you can to ensure that your rights are upheld throughout your DUI case. Legalhelp-az, a Glendale, AZ DUI Law Firm, represents individuals who have all types of DUI charges in Peoria, Phoenix, and Glendale, Arizona. It can be frustrating, embarrassing, and extremely inconvenient to face drunk driving charges. If you depend on your right to own and operate a motor vehicle for your income or schooling, it is very important that you do everything you can to get those charges diminished or even dropped altogether. Our Glendale DUI attorneys can help. Knowledge and Experience dealing with DUI and criminal matters is the important advantage that you need when fighting DUI charges in Arizona. The aggressive representation of our Glendale DUI attorneys and experience will benefit you immensely as our DUI lawyers are aware of police and law enforcement agency policy on handling alleged drunk drivers. We will use our subject awareness and knowledge to help you build a case that maximizes your chances of a positive outcome. While today’s media may make lighthearted jokes about celebrities and their DUI charges, it’s important to understand that if you face a DUI charge, this is a serious offense! And like many victims of a DUI charge, this is probably your first run-in with law enforcement and you’re finding the experience not only humiliating, but confusing. If you find yourself confused by pending DUI charges, you need an aggressive Glendale and Peoria DUI Attorney to help you through your driving under the influence case. Don’t trust your freedom, your future, and your reputation to anyone but the best. Call a Glendale DUI attorney now!